If you’re in the processing of designing a website in Ireland and are looking to recruit some help, but are torn between a freelance individual and an agency, we are here to help. There are a few key differences to take into consideration that may make your decision a little bit easier, or, at the very least, a little more clear. Firstly, a freelancer works for themselves which makes them more flexible with their hours, so if your business has unconventional hours, this may be a great option. 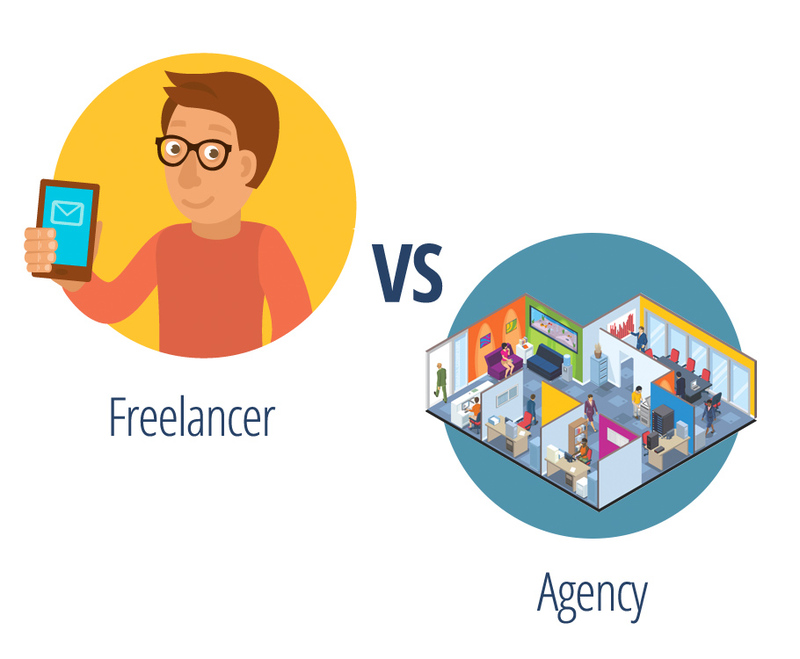 Conversely, because freelancers do work for themselves, their skill set is limited to one or a handful areas of expertise. This is no issue if you are looking for someone to simply design or someone to simply to front end development. An agency will arguably provide a more timely option, as there are several people working who can fill in if someone falls ill or behind on a task. The agency tends to also be more of a jack of all trades, with capabilities to do all elements of web design. Agencies may not offer as personalized level of service and are a little less flexible in the way that they operate and run.